In view of Greece's EMU membership, the availability of external financing is not a concern, but the correction of cumulating indebtedness could weigh appreciably on growth going forward. While the risk of transmitting vulnerabilities to the euro area is very small reflecting Greece’s small relative size, large persistent current account deficits would increase the vulnerabilities to a reversal in market sentiment, leading to a corrective retrenchment of private sector balance-sheets in the face of rising indebtedness, and a possible appreciable rise in the cost of funding over time. These developments would have significant negative implications for growth. The above quited paragraph from the IMF is a very good example of what used to be the orthodox wisdom about Greece's economic imbalances - that given EMU membership the availability of external financing should not be a concern, and that the Greek economy is effectively too small for it to constitute a menace to the stability of the eurozone itself, even on a worst case scenario. Well, if we look at the growing yield spreads you can see in the chart above (please click for better viewing) the first premiss seems to be in real danger of falling, EMU membership no longer gives an automatic guarantee of oncost-free external financing, and if you look at the names of the other countries lining up in the queue behind Greece - Italy, Spain and Portugal in particular - you can begin to see the outline of a contagion mechanism whereby the coming to reality of the worst case Greek scenario might just extend itself into a problem of sufficient magnitude to transmit Greek vulnerabilities across and into the entire euro area. 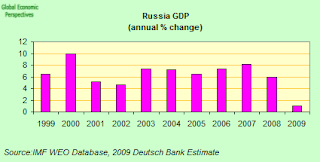 No one is too small to be a problem when it comes to financial crises, and if you think I am exaggerating just look at how the "pipsqueak" Baltic economies have paved the way and opened the door to much bigger problems right across Central and Eastern Europe even as I write. 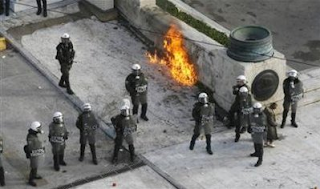 But just what are the problems Greece faces, and just what are the risks of transmission of these elsewhere? The first of the things which has changed since the IMF wrote the staff report I cite above (back in 2007) is the soundness and stability of what was then seen as being a very well funded and liquid banking system. Only last Friday Moody's Investors Service announced they had changed the outlook on the bank financial strength ratings (BFSRs) and long-term deposit and debt ratings of four Greek banks - to negative from stable. The banks in question are National Bank of Greece, EFG Eurobank, Alpha Bank and Piraeus Bank. This move follows decisions earlier in the week by EFG Eurobank and Piraeus Bank to participate in the Greek government's 28 billion euro (about 12% of GDP) bank bailout scheme the aim of which is to provide capital injections to the participating banks via the sale of preferred shares to the state, guarantees on debt issuance, and liquidity support. The decision by these two banks now brings to six the number of Greek banks who have decided to seek refuge in the government scheme, with the other banks being National Bank, Alpha Bank and the smaller ATEbank and Proton Bank. Piraeus Bank has said it will hold a shareholders' meeting on January 23 to seek approval for a 370 million euro issue of preferred shares to be sold to the state. Under the terms of the bailout plan, the Greek government may spend up to 5.0 billion euros (of the 28 billion euros total, or a little over 2% of GDP) on boosting bank capital ratios via the purchase of preferred shares. These shares will pay the government a 10 percent dividend, and banks using the facility will need to accept a state representative with a right to veto dividend policy and executive pay on their boards. Banks will also have the right to buy back the preferred shares no sooner than July 1, 2009. 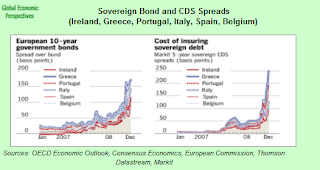 In addition to the evident weaknesses which have now come to light in the Greek financial system, the other worrying development we are seeing in Greece at the present time - apart that is from the largescale social conflict that has been hitting the headlines in recent weeks - is the movement in what is know as the yield spreads. These spreads are the interest rate difference a national government has to pay for borrowing money (over ten years say) when compared with that paid by the (benchmark) German government. What this means is Greek government bonds are sold cheaper (ie the government receives less for them) than their German counterparts, but their yields are higher and this is because external investors increasingly see Greece as a less creditworthy country. If Greece itself was fully self sufficient in finance (like say Japan is) then this wouldn't present a problem for bond yields (as we can see in the case of an equally indebted Japanese govenment) since domestic investors could be relied on to buy up the bonds (in a process known as "home bias"), but Greece is not self sufficient, and has to depend on external finance to fund a current account deficit of around 15% of GDP. Thus the opening up in these spreads over the last two months most now constitute the biggest headache those responsible for managing European Monetary Union have had to face since the creation of the eurozone, since according to the well know neo-classical theory of contingent convergence they should be disappearing, and not increasing. But increasing they are, in what is only the latest example of reality defying received theory, and the Greek 10-year bond, for example, was yielding 4.89% at the close of European trading last Tuesday, while the 10-year German issue returned just 3.23%. The spread between Greek and German bonds has now more than doubled since October and indeed hit its highest level ever since the launch of the euro last Thursday - reaching 190 basis points, up from 168 before the rioting began. These widening spreads mean more expensive bond auctions for the Greek government, and this is just where the trouble comes, since Greece has a very hefty accumulated debt to continually refinance (around 90% GDP), and it is partly because investors don't see how a government with a damaged banking system and an economy which may soon start shrinking as the recession bites can shoulder the weight of this debt, especially given the evident difficulty faced by the Greek government in enforcing measures to reduce it, that the widening is occuring. Twin Deficit To Beat All Twin Deficits? Basically, if I could sum all this up in a nutshell I would ask, just why are we seeing rioting out on the streets of Greece, and calm placidity down there on the Spanish highway. Well, apart from the evident differences in national cultures (which I am certainly not in any way equipped to get into) I would say there is one single fact that marks out the difference: Spanish Prime Minister Jose Luis Rodriguez Zapatero can still sign any cheque he wants to to try to fend off the worst of the Spanish crisis, while Greek Prime Minister Kostas Karamanlis no longer can. Words of warnings left unheard are now coming home to roost and the Greek government's room for fiscal manoeuvre is very very limited indeed at this point. Undoubtedly time will also run out on the Spanish Prime Minister too if we continue on the present course (as I argue in this post) but my point here is that we should be aware that events in Greece, depending on how badly things go, or how quickly they go bad, could end up cutting the available time for Spain even further, via a nasty little process which is ferquently known to go to work during financial crises: regional contagion. We have already seen just a process at work in Eastern Europe, following the ill-advised excursion of Russia's tanks through the Roki tunnel in early August, are we now about to see something similar happen in Southern Europe following the course of the ill-gotten police bullet which ripped life and lung out of a poor young 15 year old schoolboy in Athen's Exarcheia district this week? Actually I doubt it, that is I doubt we are likely to see a similar chain reaction process just yet, but the severity of the social backdraft we have scene following the incident should serve as a warning to us all of just how delicate this situation now is, and just how easily things could be knocked off balance. 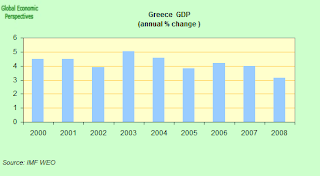 The core of the problem we have before us lies in the Greek twin defict - Greece has a very large and continuing current account defcit (around 15% of GDP, see chart below) and a very large accumulated government debt (around 90% of GDP, see second chart below). Part of the reason for the recent surge in Greek external debt has been a rapid rise in domestic investment which was not matched by a similar increase in national saving - in fact household savings have been more or less stagnant - and this has meant that the gap between national saving and investment has been steadily growing since 2001 - increasing from 10.5% of GDP in 2001 to nearly 15% in 2006. Most of the additional gap has been due to a rise in net indebtedness by the household sector. 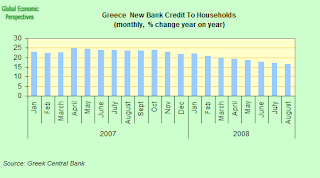 To a large extent the decline in household saving and the increased demand for housing as a private investment vehicle can be explained by the increased access to and demand for credit in the context of financial liberalization and the lower interest rates which have followed from Greece's euro participation. Undoubtedly during the years in which Greece "enjoyed" negative real interest rates, it seem a much more attractive proposition to buy a piece of property whose price it was imagined would "never fall" rather then watch savings steadily lose their value in time deposits which were effectively being ravaged by infaltion attrition. On the other hand it is worth bearing in mind that gross Greek household debt - at a little over 40% of GDP - never reached the heady levels attained in Spain of around 90% of GDP. In contrast, the Greek corporate sector has been running a net savings surplus throughout the entire period (and this of course is another big difference from Spain), with rising saving repeatedly exceeding investment. This notable increase in corporate saving has largely been the result of the strong profitability in the shipping and financial sectors, and it is this profitability which is now, suddenly, under threat in the current downturn. Greek government debt, on the other hand is somewhere in the region of 90% of GDP, while the deficit is currently somewhere around 3% of GDP, but none of us (including the European statistics agency Eurostat or the EU Commission) can really be too sure of all this, since the goalposts seem to be being constantly moved in more than the football stadia down in Greece, and while it would be an exaggeration to say the data changes on a weekly basis, sometimes it seems we are not so far away from that point. Such shortcomings in Greek public finance statistics (and economic data from Greece generally I would say, if you look at all the regular omissions in the Eurostat short term data relases) are by now a reasonably well-known problem - the general government deficit for 2007 has only in the last month been revised upwards yet one more time - from 2.8% to 3.5% of GDP (much to the furor and chagrin of the EU Commission, since this put Greece in technical breach of its committments to the Commission, yet one more time), while for 2008, the official public deficit target has already been revised up by 0.75% of GDP, compared with the initial budgetary target of 1.6% of GDP, and of course with the historic record to go by and bank bailouts and the economic slowdown to think about, it hardly seems to be credible that this year will be the year, the year we finally make it back under the 3% deficit limit on a consolidated basis. The latest upward adjustment in the forecast reflects expenditure overruns of 1% of GDP and revenue shortfalls of 0.5% of GDP, although at the present time these are supposedly being partially compensated for by a series of measures implemented in September (with unknown outcome at the time of writing, but with an evident adverse impact on Greek public opinion if the images on our TV screens are anything to go by). 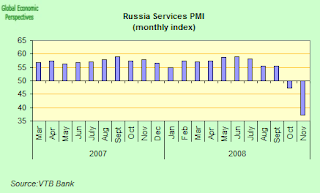 The September package consisted of both revenue enhancing and public consumption cutting measures with a projected budgetary impact of some 0.75% of GDP - and hence in part of course the recent furor on the Greek street. 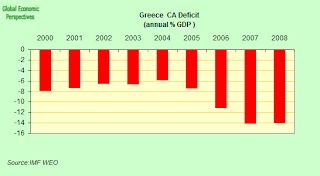 If the intended outcome were to be achieved - something which is, as I say, very unlikely under the present economic circumstances and given the government's track record - then the Greek government deficit for 2009 would be somehwere in the region of 2.5% of GDP. But the point about all this rigmorole, is that the end result of all this coming and going, and too-ing and frowing down the years is that Greece is still not completely out of its EU excess deficit procedure, and this at the end of what has been one hell of a "good times" boom, so what can we seriously expect now that the bad time have most definitely come? Greek consolidated debt has been steadily coming down, as can be seen in the above chart (the brown line, right hand scale, please click on image for better viewing) but the problem that is facing decision makers is, will getting to grips with the heart of the financial problem imply measures which once more reverse this trend, and if it does, just how will the ratings agencies respond, and assuming we already know the answer to the last question, what will this mean for the yield spread? The Greek economy has been buoyant for several years, and the gap in real per capita income between Greece and the EU–15 has narrowed significantly. 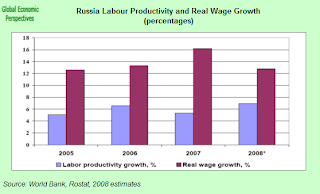 Real GDP growth averaged 4.25 percent during 2000–06, and is estimated at 4 percent in 2007. Solid gains in employment and handsome real wage increases have underpinned strong consumption growth. Rapid credit expansion that followed financial sector liberalization and the drop in interest rates associated with euro adoption have fostered rising residential investment by households, while strong profitability has fueled corporate sector investment. However, the external sector has been a drag on growth; external imbalances have remained large throughout and widened. Recent Greece economic performance, as measured in terms of growth in per capita income and GDP (see chart below) has been - as the IMF indicate - strong, with average annual growth running at a little over 4%, but looking at the macro imbalances which have been accumulating, we need to ask ourselves, as in the case of Spain, will there be a payback to be made for all of this good news? 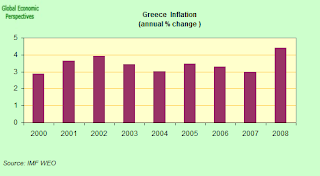 If we examine the inflation chart (see below), we will find that Greek annual inflation has also been hovering around the 4% mark since the start of the century, a clear two percentage points above the ECB inflation target, and also two percentage points over the ECB policy rate during the key period from June 2003 and December 2005 (when the rate was held at 2% offering monetary conditions which were far too loose for several key members of the eurozone and in the process fuelling housing bubbles in a number of zone member states). 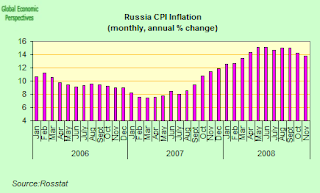 Thus with GDP running way above what might be considered a reasonable trend level, interest rates were being adminstered at what was a real rate of minus 2%, despite the evident inflationary symptoms that there was significant "overheating" going on. Thus the Greek economy was given a pretty significant monetary stimulus during what could only have been perceived as the height boom, and at a time when the fiscal stance was also very expansionary. If any of this could work, then we would have to admit that most of what we claim to know in terms of economic theory was simply wrong - although the ECB at the point may simply have taken the IMF view that "the risk of transmitting vulnerabilities to the euro area is very small reflecting Greece’s small relative size". However since I certainly do not think that Greece is "too small to matter" and since I also think the part of our current body of economic knowledge about what you should and shouldn't do during overheating episodes is among the most tried and tested portions of our theoretical heritage,the Greek economy now seems likely to suffer from some rather severe macro problems in the course of the unwind of this particular binge, and I doubt the knock-on effects from the unwind for the rest of the eurozone will simply be too benign to notice. We might, of course like to ask ourselves whether it wasn't a pragmatic case of "simply nothing to be done"? I would argue that there most certainly was something to be done, and it was on the fiscal side, since interest rate policy was effectively under ECB control. 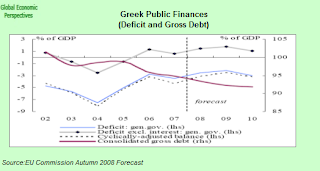 The Greek government, on noting the signs of overheating should have moved to a restrictive fiscal stance - in other words it should have been running a surplus, and a big one, of possibly 2% or 3% of GDP - but as we have seen, just the opposite was the case, and at the same time as monetary policy was excessively accommodative fiscal policy was busy pumping in even more juice. And so it went on, until it simply couldn't go on any more, which is where we are now, and why Prime Minister Karamanlis cannot simply keep signing the cheques to buy social peace and satve off the downturn, although it is quite clear that this evident reality still hasn't been gotten across to Greece's two largest union federations who last week held a nationwide general strike to protest a set of government's remedial policies which, if they are anything, are already too little and too late. To give you a flavour of what is involved, here is a selection of some of the reforms that are currently causing so many problems. Unless the social security system is fundamentally reformed, the long-term costs of population aging are expected to threaten the sustainability of the public finances. The completion of the actuarial studies of the major pension funds has been further delayed, and the authorities are proceeding with a narrowly focused reform agenda which is nonetheless already drawing considerable protest. They have ruled out reduction of the replacement rate and increases in the contribution rates. Instead, the focus is on obtaining efficiency gains through the merger of pension funds, tightening provisions for early retirement (the list of “heavy and unhealthy” occupations and the disability pension code would be reformed toward this end), increasing the incentives for people to stay employed longer, and tackling contribution evasion. In the absence of an assessment of the cost savings, it was not clear to what extent the current reform proposals would suffice to restore the pension fund to financial viability. Despite strong opposition from the main trade organisation unions, the Greek parliament last March approved a law which aimed at a long overdue overhaul of the country's ailing social security system whose longer run actuarial deficits are now estimated to be running at more than twice Greece's 240 billion euro GDP. Experts predict a collapse of the system in 15 years unless something is done to prevent this and have warned that even the current reforms may not be enough to guarantee the system. We should remember that Greece has long running low fertility (around 1.3tfr) and has a rapidly rising population median age. The working age population is soon set to start declining as a proportion of the total population. Many of Greec's working population, however, simply do not understand this rather harsh and complex reality, and are angry about being asked to increase pension contributions for what they feel may well be reduced pension entitlements later, especially at the present time as they are already feeling the pinch of the global economic downturn. The changes included merging the country's myriad 133 pension funds to form a mere 13, raising retirement ages, eliminating special and supplementary pensions, and introducing incentives to encourage people to work additional years. Greece's New Democracy government has already auctioned stakes in Greece's largest ports in Piraeus and Thessaloniki, and sold a stake in telecoms company OTE. It has also pledged to push ahead with the privatization of several state-owned companies, such as Olympic Airways and Postal Savings Bank. Other assets to go on the auction block may include Athens International Airport. These sales have been pushed forward despite strong opposition by unions who fear job losses and wage reductions, but really - apart from the competitiveness arguments which underpin such moves - the government really have little alternative since something or other has to be sold here. One of the key areas of controversy in recent weeks has been a law which effectively ends the employees' right to collective wage contracts (Spain, be warned) and which won approval in the Greek parliament last August. The government said it wanted to clean-up debt-ridden state companies and overhaul protective employment laws in an attempt to attract more foreign investment. The Finance Minister Alogoskoufis recently told parliament the reform should be pushed ahead "for the sake of the Greek economy and society," since higher wages have added to state companies' debts, which ordinary Greeks had to cover with their taxes. Are We A Bunch Of Hypocrites In Southern Europe? One question I often ask myself when speaking with Spanish government employees who timidly ask me the predictable "crisis, what crisis? Can't you see, all the bars are still full!" question is just what is meant by that much used and little understood word "solidarity". We are proud to note down here in Southern Europe that we have a complex set of collective institutions which are driven by objectives of "social solidarity", not like those nasty little anglo saxon types (you know, the "neo-liberals") who live up north. But why is it, I ask myself, that I don't here this "crisis, what crisis" stuff from those working in the private sector, who spend the best part of the day at the present time looking across the factory or office floor at their colleagues and asking themselves who it is who will find themself going out of the door this week? Solidarity means, if it means anything, that everyone shoulders some part of the burden in difficult times, and that people behave responsibily with their national resources and heritage, and accepting that when there is no money to pay for something, then there simply is no money to pay for it. If you find yourself having to depend on the stringent demands of others from outside your country, then the best thing you can do is to get your country out of the debt which is the cause of the problem, and then you can freely decide your own future for yourself. But while I can well understand how a relatively poor country like Ecuador gets itself into such a dependence-based mess, I am at a loss to understand how comparatively rich countries like Spain, Greece and Portugal have allowed things to come to the pass they have now come to, or how their citizens have let them get to the point they are at now. 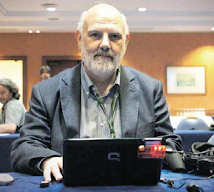 One good example of the ways you get into such difficulty comes from Spain where the government now wants power companies to pay off one third of the latest tranche of a multi-billion euro deficit which has been created by utilities charging small consumers less than the cost of generation. At the present time, and following the partial deregulation of Spain's electricity sector, the government continues to set tariffs for small consumers. This deficit is estimated by the Spanish energy regulator CNE to be running at 5 billion euros for 2008 alone. The government has no immediate plans to oblige utilities to pay for a further third of the 11.2 billion euros of tariff deficit accumulated pre 2008, since this deficit is provided for in Spansih law and appears on the companies' books as a long term credit which they are expected to eventually claw back gradually through their customers. The government has been trying to finance this deficit through quarterly debt auctions, but these have met with mixed results, and the government had to declare null and void an attempted sale of 3.85 billion euros of debt amid market turbulence in back in September. The scandalous part about all this isn't that the government could use any funds it could raise at auction for other and better purposes right now, rather it is the fact that this 5 billion euro debt which has been incurred in 2008 by selling energy to customers below cost has only been adding to the hole in the current account deficit, since the energy it pays for effectively needs to be imported. Greek economic growth is now slowing rapidly. Quarter on quarter growth in Q3 2008 was 0.4%, and almost all the growth the economy has been getting this year (including that sharp spike you can see in Q2 in the chart below) comes from earnings from shipping services, earnings which are now falling dramatically as global trade starts to contract. The economy is expected to decelerate further in Q4, and may even contract slightly, with a best case scenario of remaining around the stationary level. 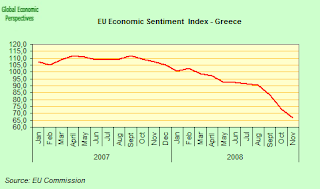 Thus the Greek economy should start contracting - and thus formally enter recession in Q1 2009, at the latest. Given the difficulties Greek banks are having in raising finance in the global financial and capital markets, the ensuing tightening credit conditions are bound to lead to a further slowdown in private consumption. Government consumption is expected to move more or less in line with GDP, while public investment is expected to rebound in 2009, largely reflecting an accelerating pace in the implementation of EU Structural Funds. Household borrowing has - as we have noted - increased at a rapid rate between 2003 and 2007, but during 2008 the rate of increase has been slowing steadily (see chart below). This reality is reflected in the recent statement by central bank govenor George Provopoulos that he hoped the bank bailout plan would be able to keep the country's credit expansion pace at 10 percent next year (down from around 18.1 percent currently). Even were this to be achieved (which is far from clear), as we have seen in Spain it will lead to a sharp contraction in an economy which had grown accustomed to new credit generation at twice that rate, and especially given the governments inability to step in and offer any fiscal support. 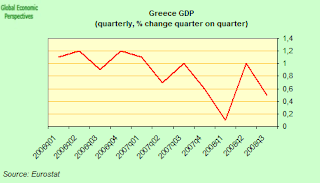 In addition, the Greek construction sector - which, it should be noted, never became so bloated as a share of GDP as it did in Spain and Ireland (where it hit around 11%) - has now been slowing since Q3 2007, when it hit around 7.5% of GDP, and was down to 5.4% in Q3 2008, and was dropping year on year at an annual 6.7% rate in September 2008 according to the latest data from the national statistics office. 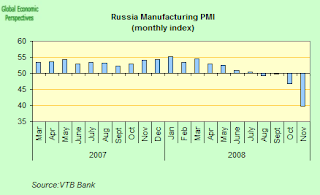 Industrial output is also now falling, by 4.5% in October, and the November manufacturing PMI registered a series low of 42.3 indicating even faster contractions in the pipeline. Greek industry has been getting some uplift from the economic boom in South Eastern Europe, and since that is now well and truly over, we should expect the manufacturing downturn to be sharp and sustained. In the shipping sector, a significant jump in world freight rates and a rise in shipping volumes on the back of a hefty increase in world demand for oil and other minerals both boosted the sector’s profitability, and increased it's importance in GDP growth (indeed growth in the last couple of quarters has been virtually all about shipping). This favourable position has now very much turned. 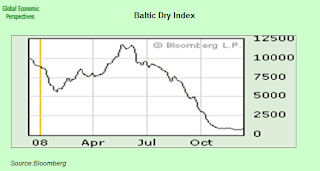 George Economou, Greek shipping billionaire and Chairman and CEO of DryShips recently characterized the current collpase in the Baltic Dry Index (of bulk charter cargo rates) as something like "a nuclear explosion" for those in the shipping industry. The index, which measures world shipping charges for raw materials, has plummeted from a high of 11,793 in May to 672 (see chart below), its lowest level since soon after the index was established, back in 1985. Daily-rental rates for the largest Capesize category of carrier have plunged from $234,000 just two months ago to $2,320, a fall of a staggering 99%. Even more worrying for the mid-term outlook is the rush to cancel orders of new ships. In November, New York–based Genco Shipping and Trading willingly agreed to say adios to a $53 million deposit simply to get out of a half-a-billion-dollar deal to buy six new vessels. Clarkson Plc, the world's largest shipbroker, announced that while 378 ships were ordered during October 2007, only 37 were ordered in October 2008. And back in Greece Kriton Lendoudis, managing director of Athens-based Evalend Shipping Co., estiamets that in Greece there are currently some 100 applications by shipowners to lay up their vessels. Lendoudis concludes, "The next 24 months do not look very optimistic." It's hard to disagree. So my feeling is that - taking all the above elements into account - we should expect Greek economic performance to deteriorate at a rate and to an extent which may surprise the casual observer of economic events. Those who have already been following closely what has happened in countries like Spain, Latvia and Romania should, however, be fully prepared for what is now to come. The first signs are there, in the EU confidence chart I close with (below). As can be observed, a slow and steady deterioration has suddenly, after the summer, changed course, and become a sharp downturn. I fully expect that we will now see this general shift in confidence find its reflection in the real economy data that comes rolling in over the next three or four months.